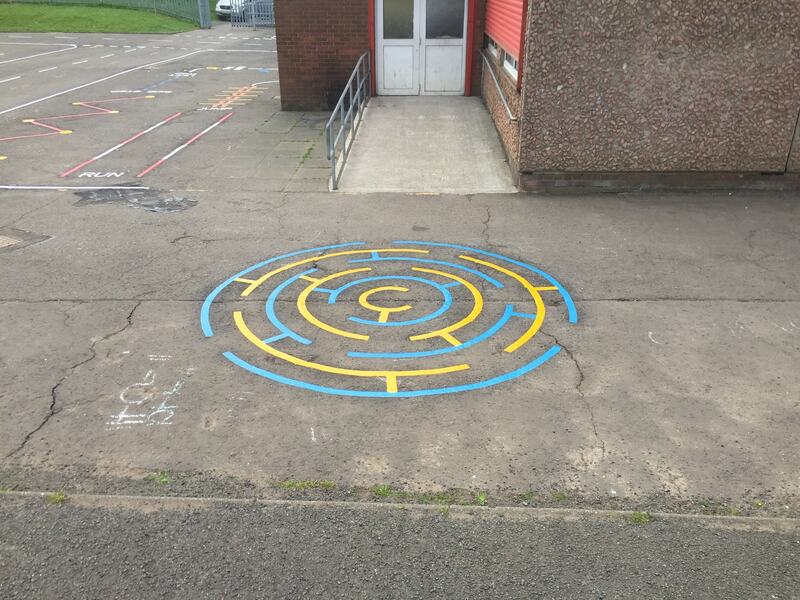 Thermoplastic Playground Markings at a Primary School in Paisley, Glasgow. 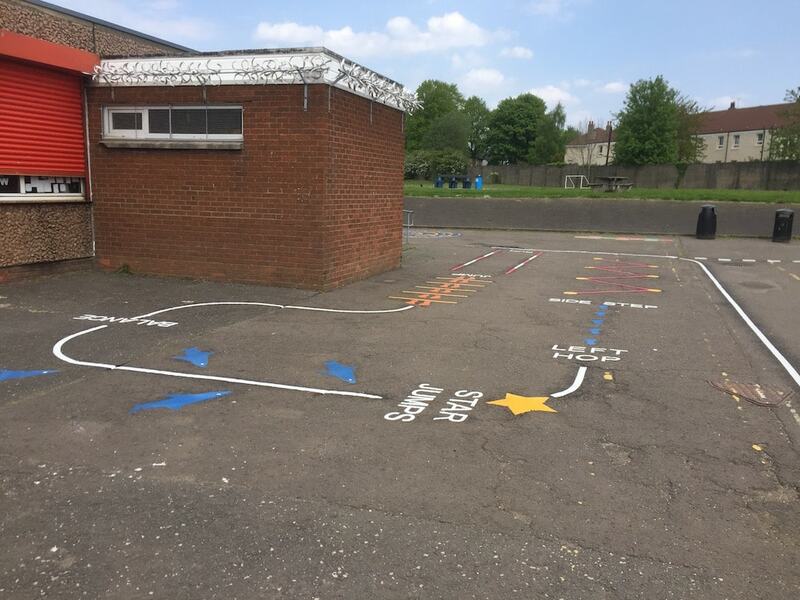 first4playgrounds installation team have just completed a range of Thermoplastic Playground Markings at a Primary School in Paisley, Glasgow. 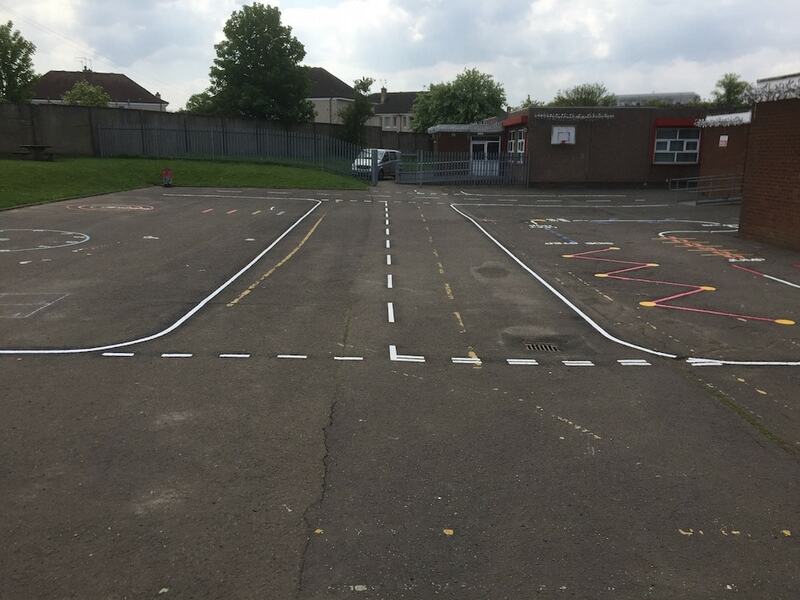 These Markings included a 30 meter road track, a circular maze, and an adventure trail. 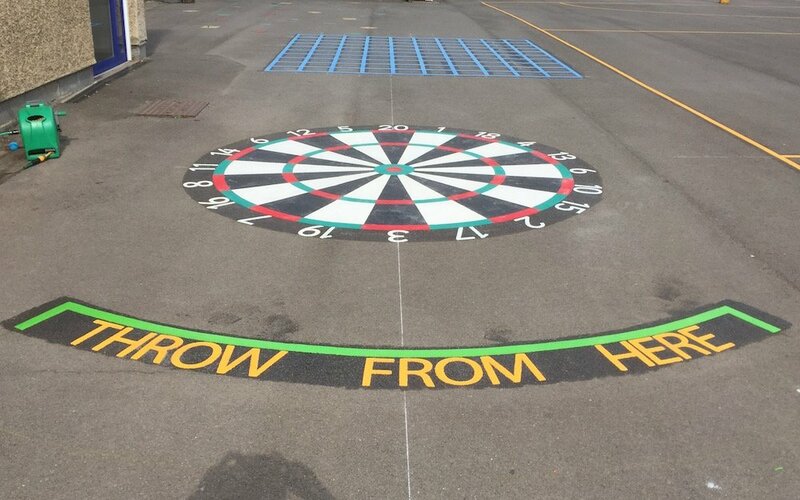 Our team began by installing this 30 meter Road Track. 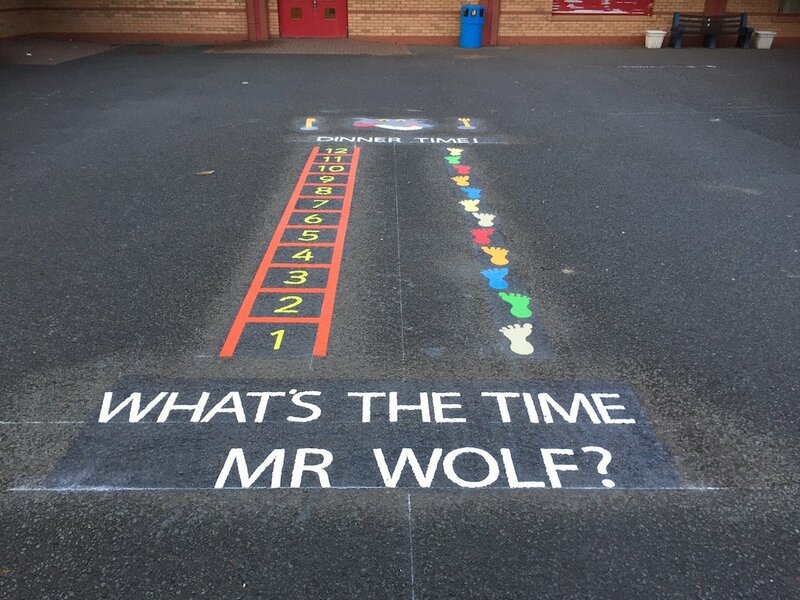 This is now one of our most popular products. 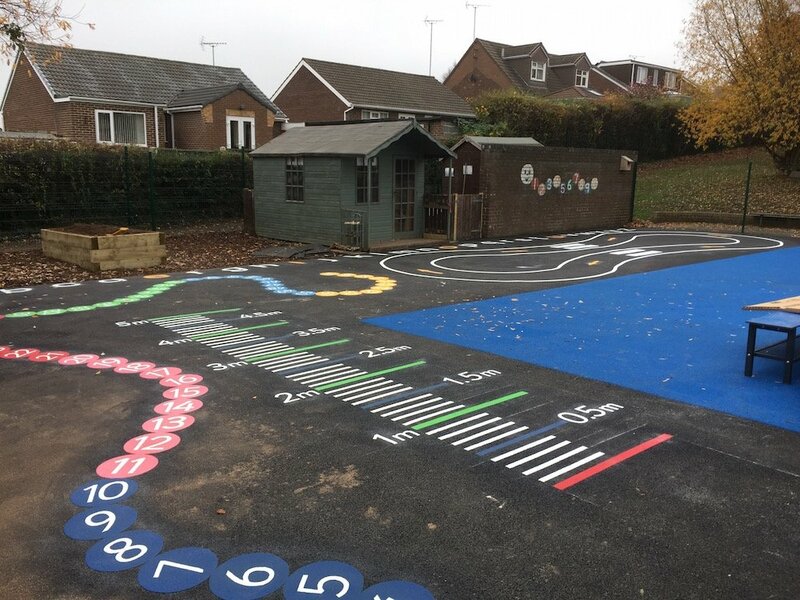 This track is great because it is a replica of an actual junction. 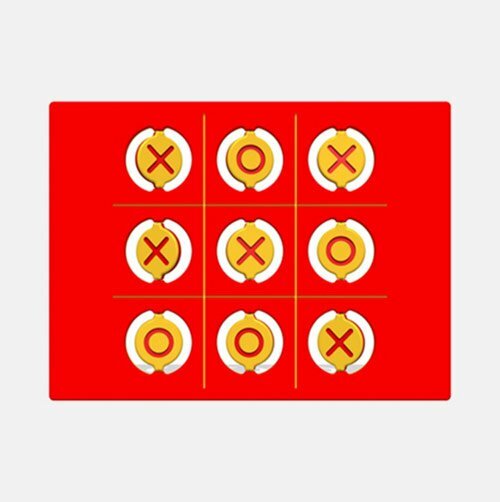 This means children can practice vital road safety in a safe environment before venturing onto the roads. 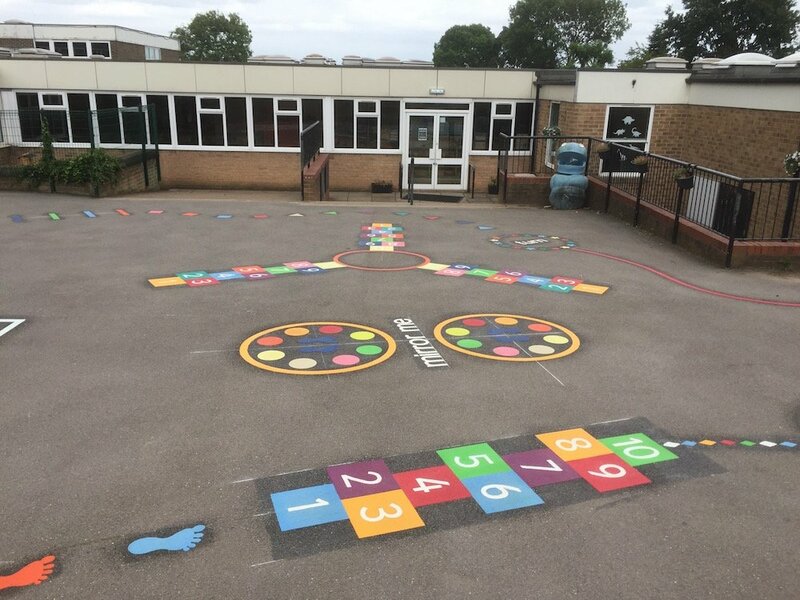 Secondly the team installed this circular maze, this is a great, fun, bright and colourful marking that the younger children love! 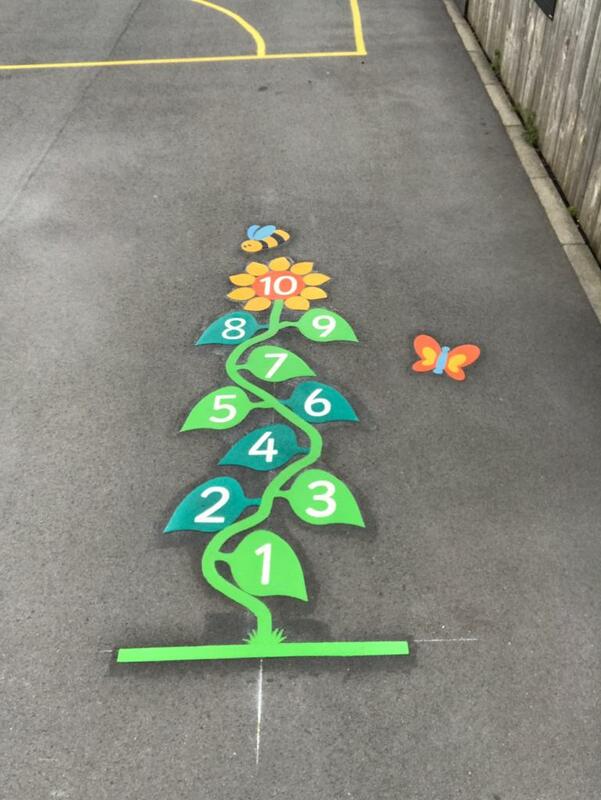 Thirdly and lastly our on site team installed this Adventure Trail. 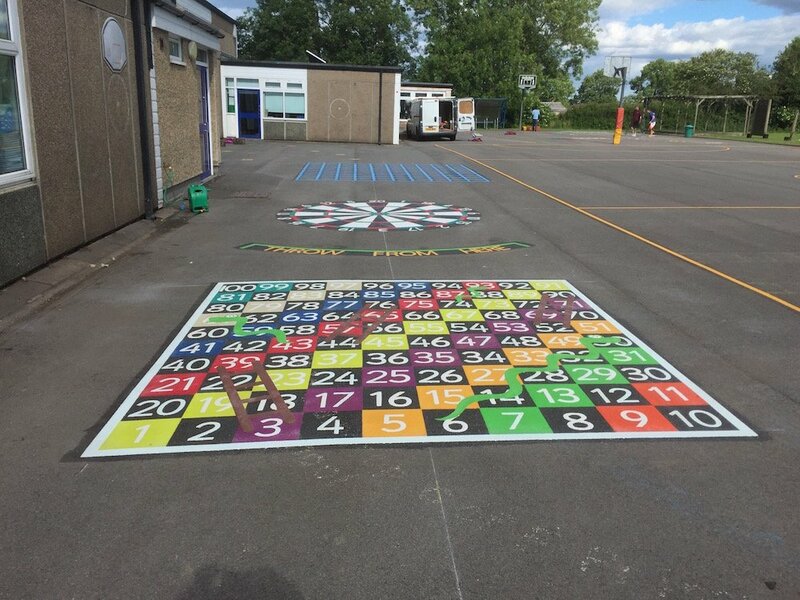 This is a brilliant way to keep children fit and active doing something fun and entertaining. 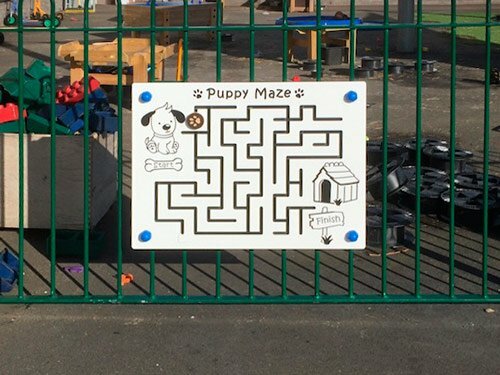 During this Adventure Trail the children run, jump, balance avoid the sharks, do star jumps, left hops and side steps.